Is your dog reactive? Does he react to dogs, people, or noises by trying to bark or bite? 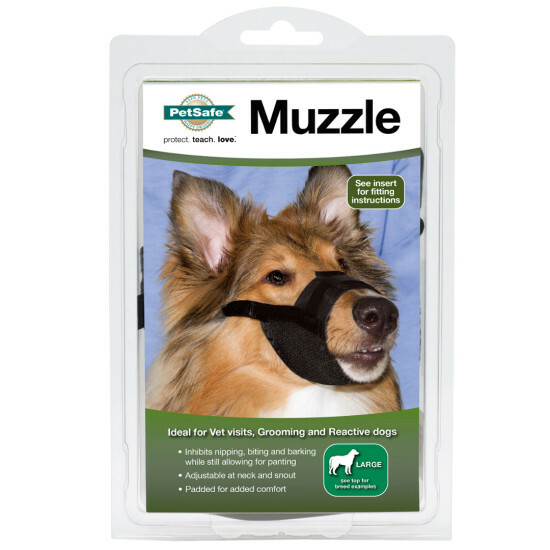 Muzzles are safety training tools for keeping control of your dog on visits to the vet, groomer, or places that can be scary or overwhelming for your dog. This dog muzzle safely prevents dogs from nipping, biting, and barking while still allowing them to pant. 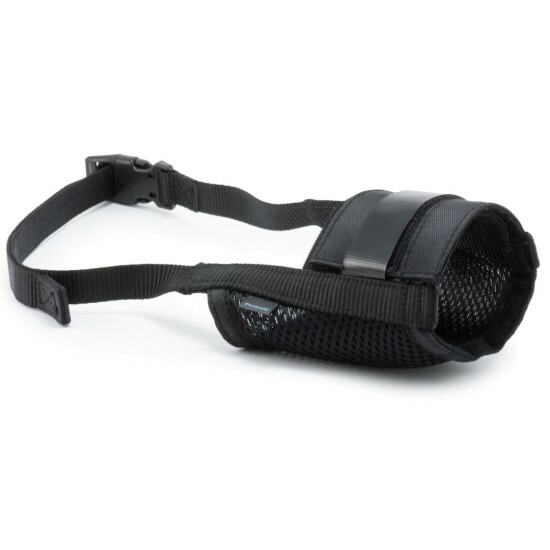 Extra padding will keep your dog comfortable, and the fully adjustable snout and neck strap allow for a perfect fit. 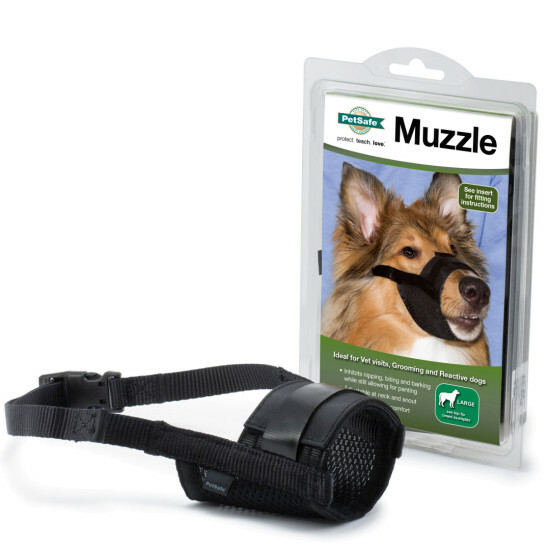 Help your dog get used to the muzzle before using it with our included safety & training tips. Teaching your dog to be comfortable with the muzzle before a stressful experience will reduce his anxiety during those situations. Dogs should wear the muzzle for less than 45 minutes in normal weather or 30 minutes in hot weather. Always supervise your dog while he is wearing the muzzle.